Oh Hello, hello! Hope all is well with everyone. Time flies... with so many Korean Dramas to watch things to do, so little time. Oh life, oh life! I'm grateful! *_^ Okay, when something's amiss, this never fails to cheer me up...Aja! Aja! Fighting! Similar to last time (which I forgot to write about), from our Summer 2014 USA trip, we shipped our shopping finds via cargo box. Last time, we used Alas Cargo coming from West Covina. 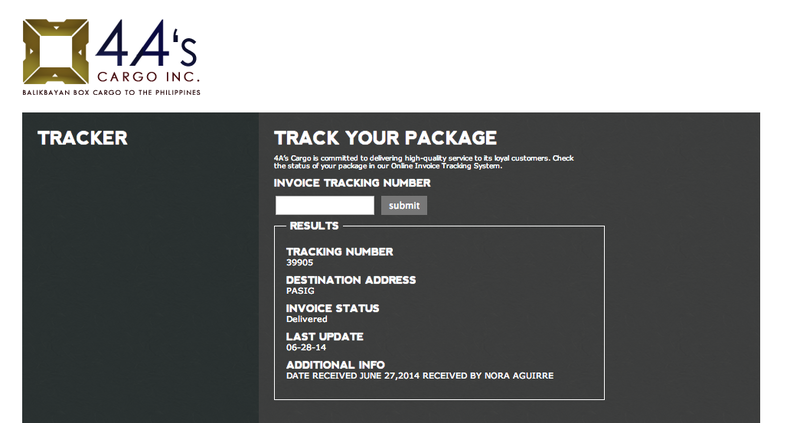 Although, we usually received boxes via Atlas Cargo also from Los Angeles. This time, from Carson, we used 4A's. But with Costco, Target, Walmart, and Trader Joe's, I just couldn't resist!!! Plan was to do the pantry loading ahead of time, and ship the box right away, but we couldn't do it amidst our busy-ness. So I ended up completing my shopping in Walmart, a night before we leave for Manila. It was hectic! I was so pleasantly tired! Balikbayan Packing Tips. 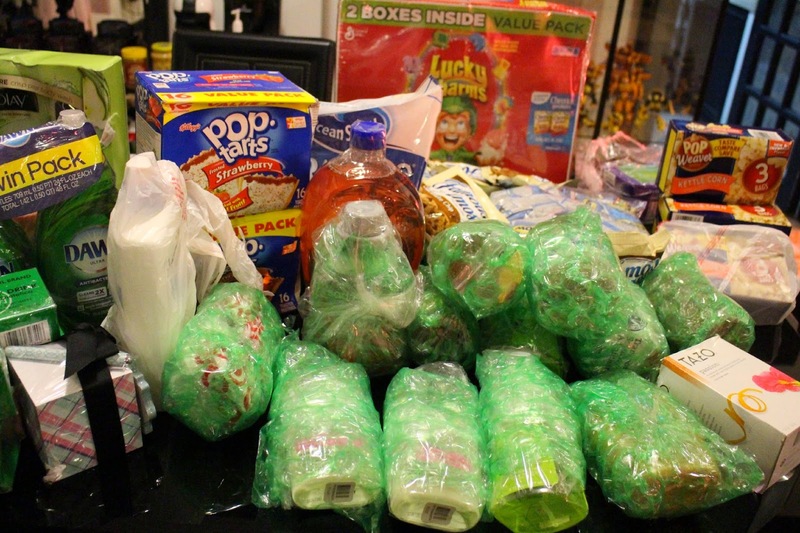 Use Bubble wrap, plastics, Zip Lock, Scotch Tape...Better safe than sorry. 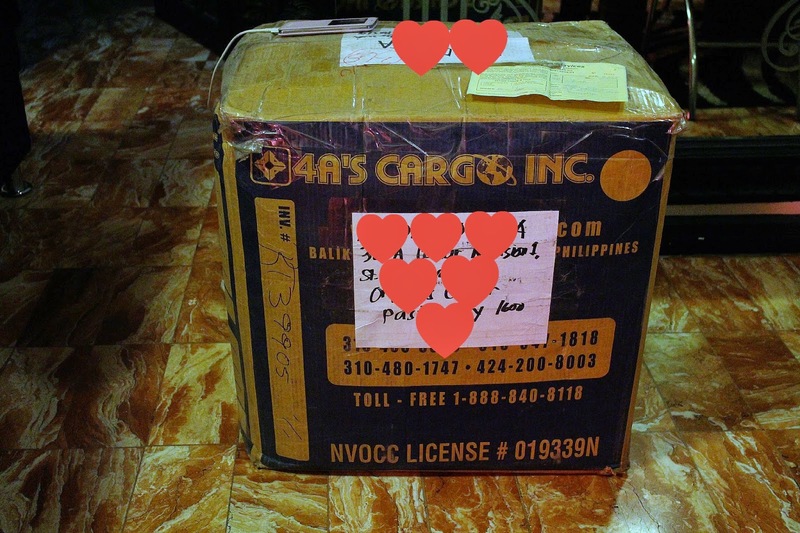 Balikbayan box shipping allows you to stuff anything in it, regardless of the weight. Shopping Finds. 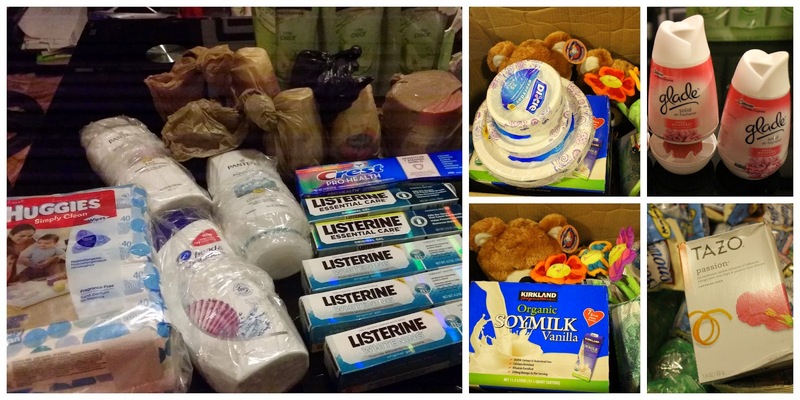 Huggies Baby Wipes, Pantene Shampoo and Conditioner, Head & Shoulders, Listerine Toothpaste (Love it! ), Air Fresheners (Glade Angel Whispers is truly love at first sniff), Tazo Passion (bought it in Target, but it's the kind that is being used and served in Starbucks), Dixie Disposable Plates, Olay Body Wash, Bath and Body Works, Trader Joe's Speculoos Cookie Butters, Cartons of Kirkland Soymilk (2 cases), Famous Amos Cookies, Mott's , Ocean Spray Craisins, Chocolates, etc. Plus Chase's wins from Circus Circus Las Vegas. I did the wrapping per se. But I got help from my aunt, who is very adept in packing a balikbayan box. The box was mighty full and heavy...two cases of Soymilk, take that?! To secure the stuff, you need "bumper guards", she said...and these are clothes and tissue rolls, or other unbreakable items. I couldn't risk breakage or leaks, sayang naman, so I made sure to pack everything tightly, bubble-wrapped and what have you. I love, love, love shopping everywhere in the States. Everything is priced reasonably well especially the basic items. It's truly pantry loading at its finest! So yes, receiving and/or sending a box is such a wonderful feeling! For me, I got my dose of retail therapy (cheaper than outlet shopping haha) by filling up the box. Shipping to Manila from Los Angeles starts at $60. That's a lot of stuff! Sending balikbayan box to PH is now really affordable. Check out the rates here. It is really a joy to receive balikbayan boxes. I love it.